In this post, I have written about 2 specific Bisa or Most Powerful Shakti Yantras of the Goddess Bala Tripura Sundari, which are worshiped to gain the blessings of the Divine Mother Mahalakshmi Mata for getting Lakshmi Prapti, meaning wealth, money, prosperity, abundance and success in job and business. 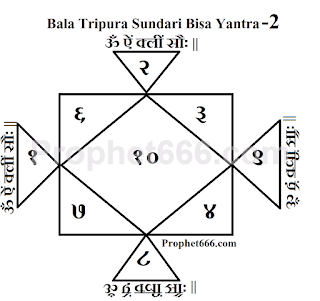 Bala Tripura Sundari is the youthful form of Tripura Sundari, which is why she is often described as Shodashi or sixteen because she has the youthful appearance of a most attractive and fascinating girl who is about sixteen years of age. The appearance can be deceptive because it is only the form of the Mother that appears to be 16 years old. The worship of Bala Tripura Sundari is extremely important for some sects of Shakti Worship who strive to uplift their levels of existence and reach higher and higher stage of spiritual development. 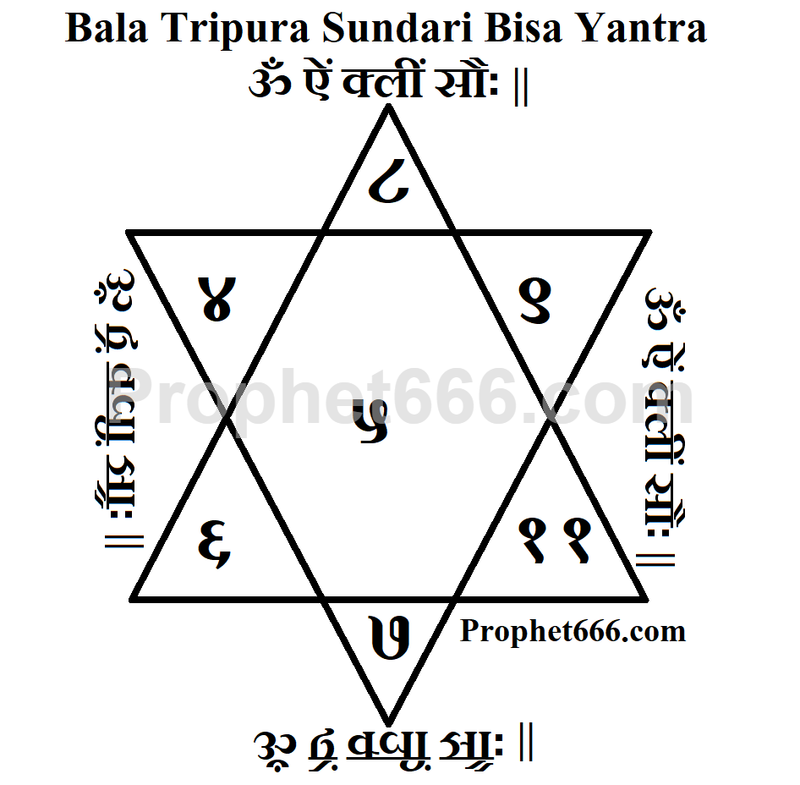 The procedure for making both the Bisa Yantras of Bala Tripura Sundari is the same, the practitioner is free to select, which one of the 2 Yantras to make and worship. 1] The Yantras have to be prepared on Silver and kept in the Puja Ghar at home or in the office or shop. 3] The Mahalakshmi Mantra given below has to be chanted 108 times daily. 4] The recitation of the Sri Suktam should be done. The verse shown in the image is more important, hence, the practitioner can do Dhyan of this verse daily. 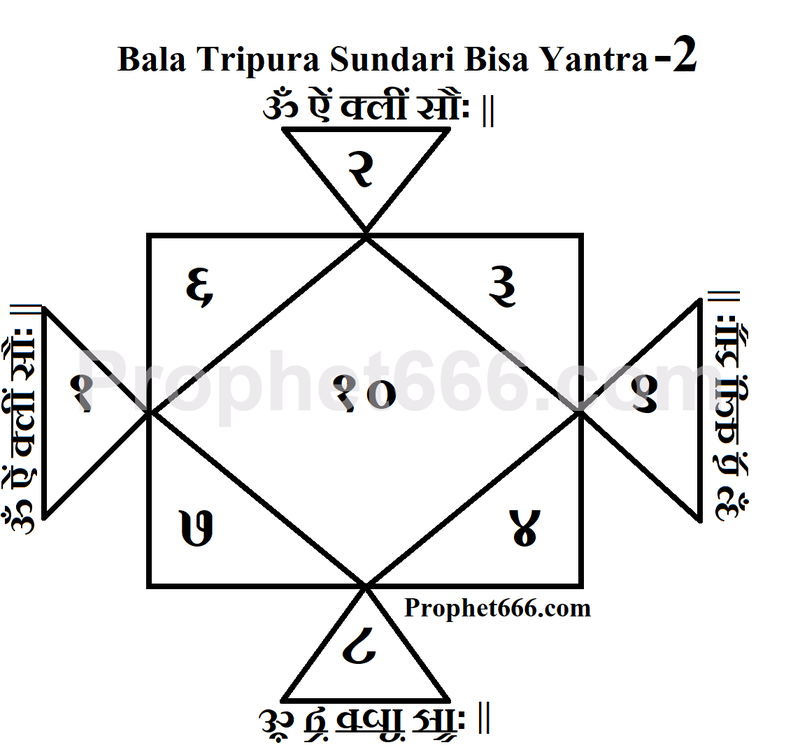 Note- Apart from what is mentioned above, the practitioner should follow the usual procedure for making and worshiping Yantras, which is selecting an auspicious period for making the Yantra and doing Prana Pratishtha. 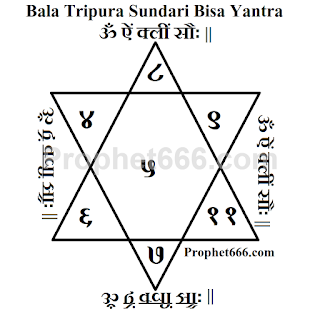 Laypersons, desiring to make and worship the Bisa Yantra should engage the services of an experienced Sadhak.